On Wednesday, December 20, 2017, Team LogistiCare came together again for the last installment of our first official LogistiCare Service Day which kicked off last week with excellent guest speakers and prepping care packages. 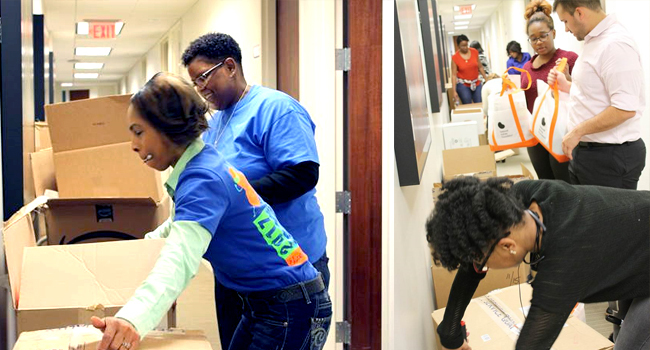 This time LogistiCare volunteers gathered in our corporate office at 8:00 AM to load boxes, carrying 500 care packages, into three vehicles to be distributed at seven dialysis clinics throughout Atlanta. The day started out clear but soon it began to rain. 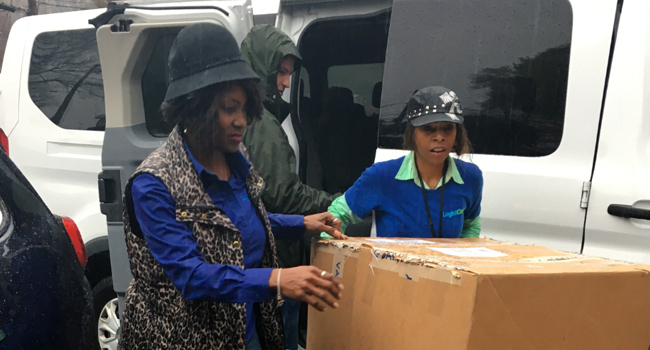 But rain was no damper to LogistiCare – rain, sleet or snow, Team LogistiCare was ready to get these care packages into the hands of the dialysis patients that need a little comfort this time of year. The first vehicle set out to two DCI clinics in south Atlanta to distribute 82 care packages. 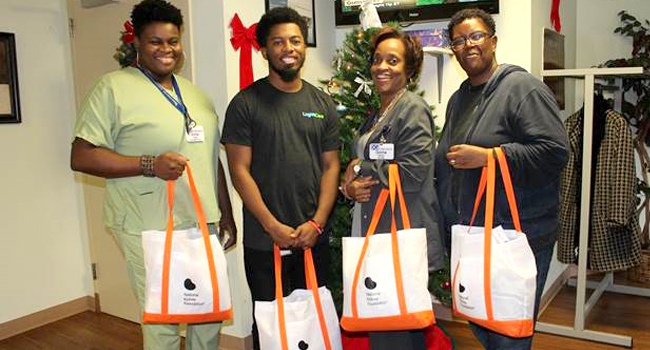 While making these deliveries, LogistiCare teammates had the honor of meeting three amazing patients that shared their appreciation for the care packages which were specially designed by LogistiCare and the National Kidney Foundation to cater to a dialysis patient’s specific needs. Each care package included a blanket, squeezy kidney, water bottle, key chain/pill case, coloring book and pencils, and more. The third vehicle had the largest load of 307 care packages going to two DCI clinics and one Fresenius Medical Care clinic. 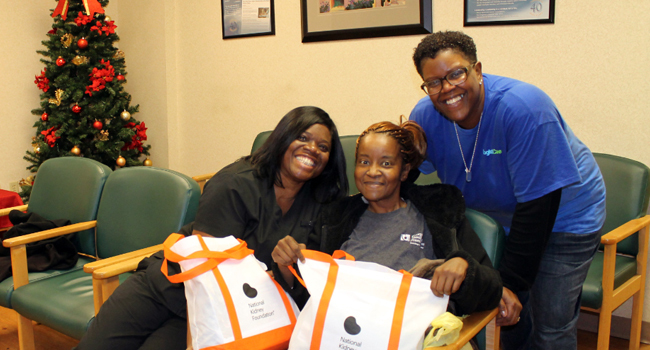 While delivering care packages to these clinics LogistiCare teammates had the added bonus of running into two of our guest speakers from last week’s LogistiCare Service Day Community Conversation featuring NKF: Dr. Fisher and Shadaka. What a treat it was to see both of them again! At the end of all the deliveries Team LogistiCare dried off, high-fived one another and went right back to work managing transportation to and from medical appointments for those members we serve each and every day across the country. It’s a good feeling to provide access to healthcare for those most in need, and equally rewarding to go above-and-beyond to give back to the communities we serve. Every ride and every member matters.